We understand you need to show off your Gold Class hair extensions & so we will prescribe you an accredited aftercare programme specifically for you & your hair. 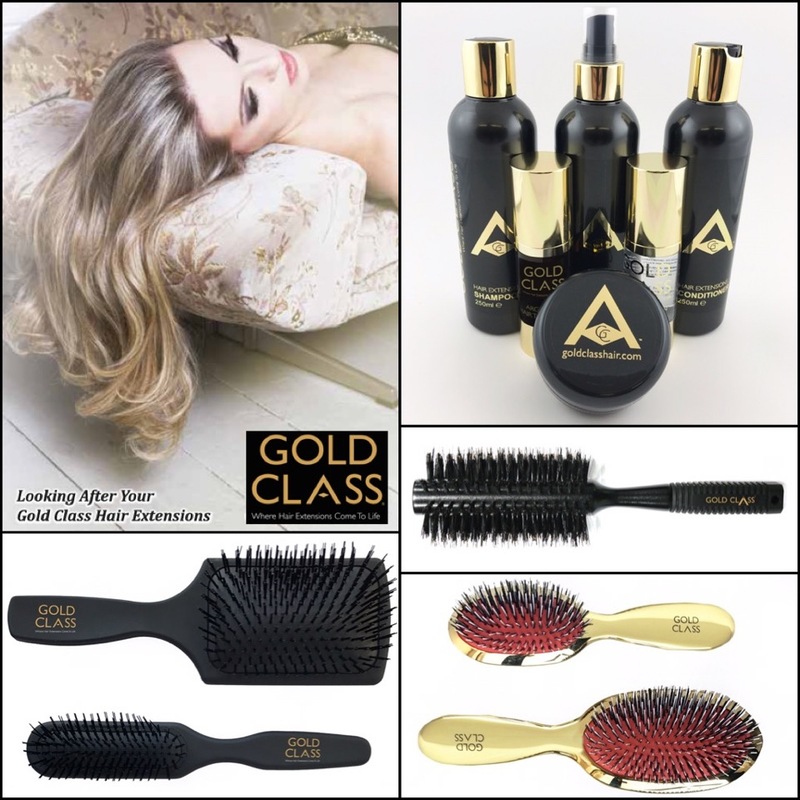 You will need to commit to the additional maintenance needed to keep your Gold Class extensions in fabulous condition and to minimise any risk of damage to your own hair or scalp. We will prescribe a range of aftercare products suitable for your hair, lifestyle & styling needs and guidance on how to use them. Do not shampoo your hair for at least 48hours after application. 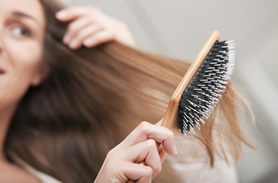 With your prescribes products, wash your hair 2-3 times a week at the most. Shampoo & Condition in an upright position and without scrubbing your hair (scrub your scalp only). Rinse well to avoid any residue. Conditioners should only be applied from mid-lengths to the ends of your hair, avoiding the bonds as this may weaken and deteriorate them. Dry your hair and bonds thoroughly as they are most vulnerable when wet. Do not towel try with a scrubbing motion. Try blotting and wrapping with a towel to remove the excess water before blowdrying on a cool or lukewarm setting. Brush your hair at least twice a day; holding your hair to support it & working from the ends & gradually working up the head. We have a range of brushes suitable for hair extension to keep your mane in good condition and styled perfectly. If using a comb, do not comb between the scalp and bonds. Natural hair loss is completely normal but when the extensions are attached, these loose hairs are trapped in the bonds and regular maintenance is essential to prevent matting. Regularly separate your bonds with your fingers to prevent matting. Keep your styling products to the lengths & ends of the hair, avoiding the bonds. You are free to use heated styling tools with your Gold Class hair, again avoiding the bonds. Our round bristle brush is perfect for blow drying. If colouring your roots, please do so professionally and apply to your own hair roots, avoiding the bonds and hair extensions. We recommend that you tie your hair in a loose ponytail or plait before going to bed to prevent any tangling and matting. 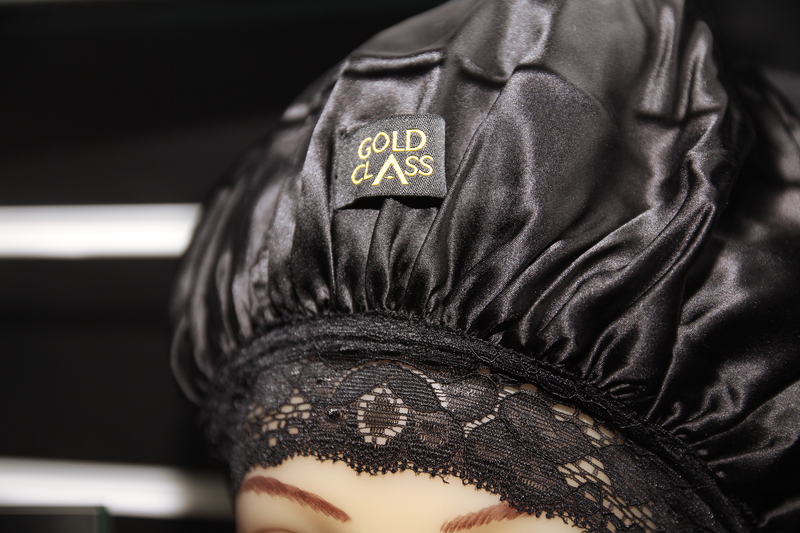 Our Silky Hair Days hair cap is the perfect product to wear overnight as it will help eliminate any frizz from your hair and will prevent matting. Active lifestyles; swimming & holidays will mean that additional aftercare will be needed to help care for the bonds & hair. Your extensionist will advise you on this further. If you swim regularly, protect your tresses with our pH Balancer to combat the drying effects of chlorine. Best used before and after swimming as a rinse; and can also be used as a leave-in conditioner at home or on holiday. We recommend you return to your Gold Class salon for regular maintenance checks. These are important to help you care for your extensions and the appointment will cover checking your bonds for matting, deep conditioning treatments for healthy hair, checking the cut for any bond slippage, advise on further aftercare at home, and styling tips. We recommend returning to your salon at least once a month for maintenance. Micro Rings will need to be re-applied every 3-4 months. Please refer to your aftercare guide and consultation for additional information. Failure to comply with these guidelines may cause the hair and bonds to deteriorate and reduce the lifespan of your extensions. If you have any questions or concerns whilst wearing the hair extensions, please get in touch with your extensionist. 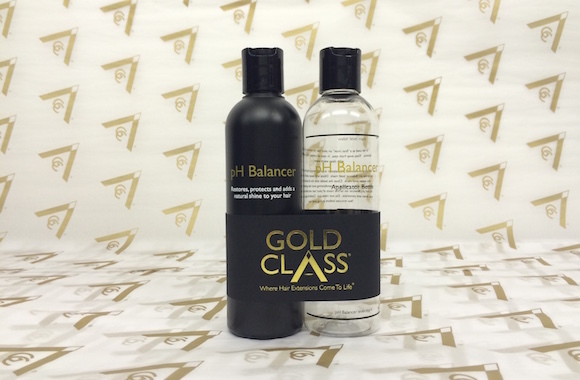 You can buy your prescribed aftercare range and products from your Gold Class select salon and also online here.